Evergreen tree. Best if protected from frost. Classic standard lemon. Bears fruit all year if protected. Rough rind with a fleshy, juicy center. 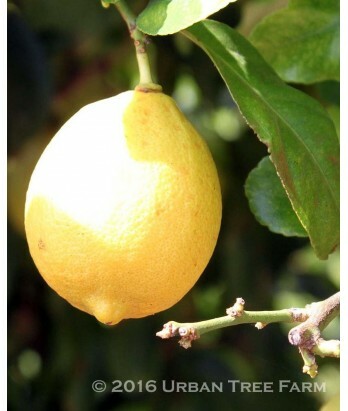 Tree is slightly smaller with darker leaves than other lemon varieties. All citrus are heavy feeders. Regular water needs in well-drained soil once established.